Today, I want to educate you about how to help your prospects make a buying decision. Everything I am about to teach you is from what I have learned in 15 years of selling. I’ve become very good at closing sales, but I did not start out that way. Learn from my mistakes and follow my advice. Right off the bat, let me tell you that people are funny. People are emotional, not logical. Most people, from the time they were a small child, have been told what to do. First, it was our parents. Then our teaches. Then our employers. By the time were an adult, we haven’t had to make many decisions on our own. As a result, many people struggle to make a decision of any kind. In addition, most people will DELAY making a decision, if given the option. People just like to procrastinate. It’s human nature for a lot of people. Yes, they’ll tell you they need to think about it. But, when they leave they are NOT going to go home and think about it. They’ll forget about it. If you hear “I have to think about it” you didn’t do your job effectively, and help your prospect make a decision. You need to understand human nature when you are talking with your prospects. Even if your prospect WANTS to buy your product or service, or join your business, in most cases, they won’t do it unless you specifically ask them to. In the rest of this post, I want to share a few tips to help you help your prospects make a decision. First off, you must assume the sale. You must wholeheartedly believe the person is going to buy or join. This “confidence” radiates through in your energy and talk and the prospect will sense it. Remember that positive attracts and negative repels. If you have doubts, worries, fears, or desperation, your prospect will sense it, just like an animal smells fear. Once you’ve done that, you must tell your prospect what the next step is. It could be as simple as this. Basically, you’ve told your prospect what the next step is, so they know what to do next. Once you tell them what to do next, if possible, help them complete the step. John, would you like to try our weight loss shake or multi-vitamins as your first purchase? John, would you like to get started today as an affiliate or a retail customer? Both of these options work very well for me. Whatever, you do, do not ask yes/no questions. If you do that, you will probably hear no more often than you hear yes. Even if you master these skills, many people will not make a decision on the spot. That’s why the money is in the follow up. Most of your prospects will still need 5-10 follow-ups before they buy or join. 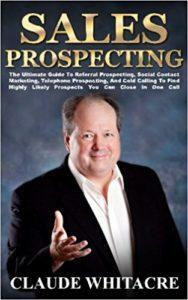 Make sure you stay in touch, follow up relentlessly, and ask for the sale each time you talk with your prospects. There you have it folks. These are some of my best tips on how to help your prospect make a decision to buy. None of this is rocket science. Master these steps and I know you will close more sales in your business.